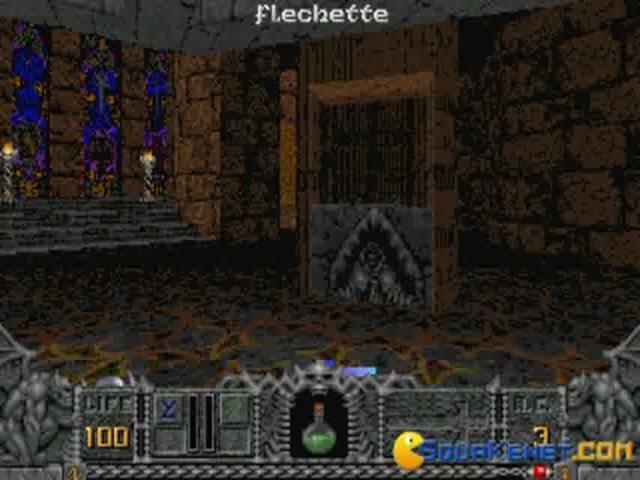 Heretic built it, Hexen took it to the next level! 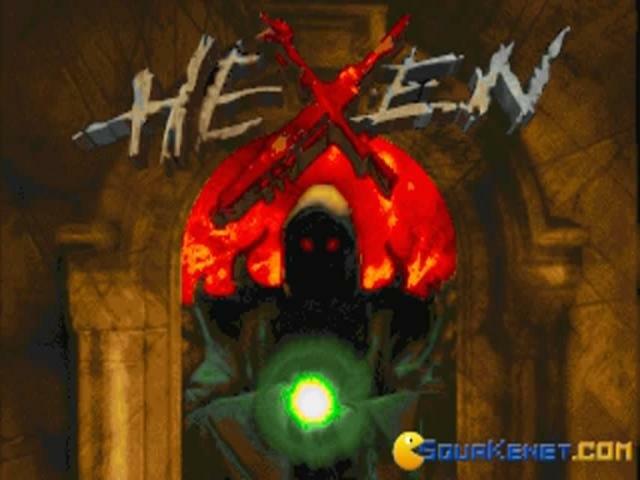 Hexen is the next step in the Heretic saga. 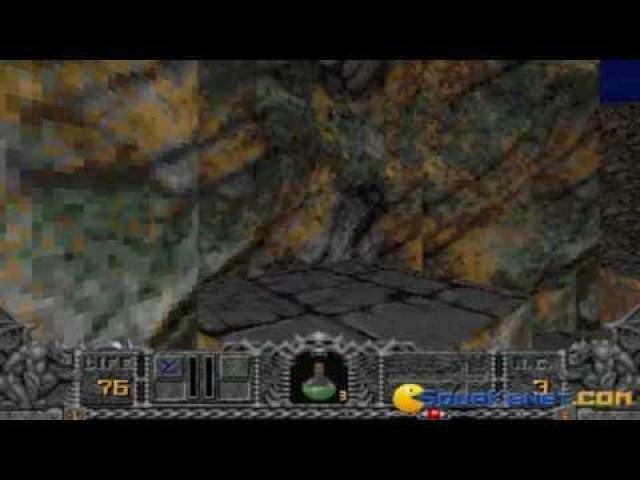 It is a first person, kind of shooter, kind of a role player. 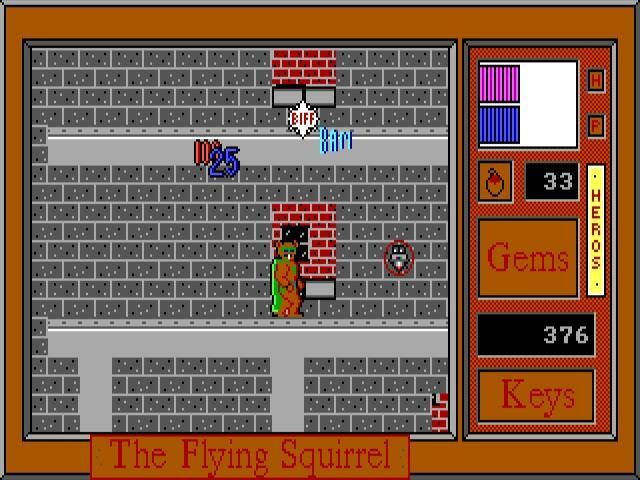 The role playing element comes in the form of choosing a class to play as. There are just three, the fighter, the cleric and the mage. 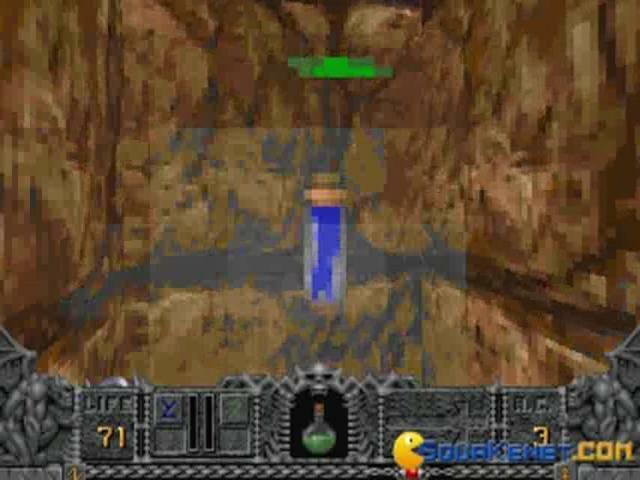 As a fighter you're able to tackle the game without needing to pay too much attention to staying away from clusters of enemies, so you're more of like the tank type. 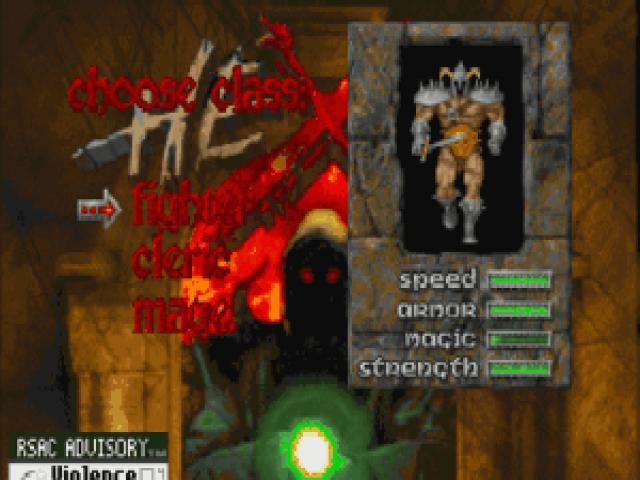 The cleric is more of a balanced class, allowing you more mid ranged attacks, while the mage is a bit harder to play, as you need to keep your distance as much as possible, though later, on it sure is the deadliest class there is with mass destruction spells taking the cake!. The game puts a lot of effort into differentiating the classes, with lots of weapons for each one. 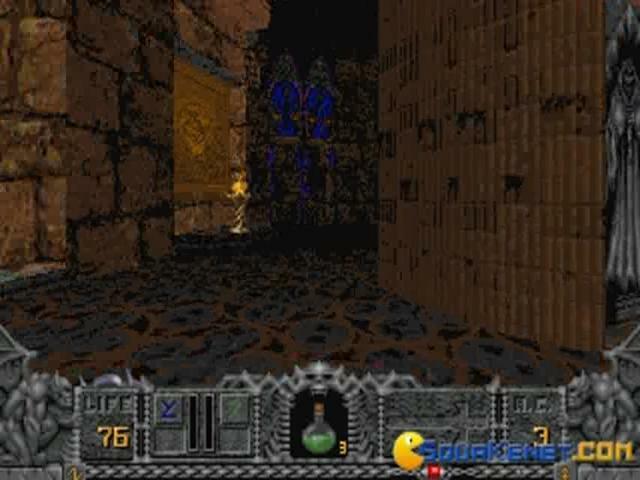 Graphically it's a good looking oldie game; that translates into medium quality textures; just the right amount of jaggedness and hub based level design. 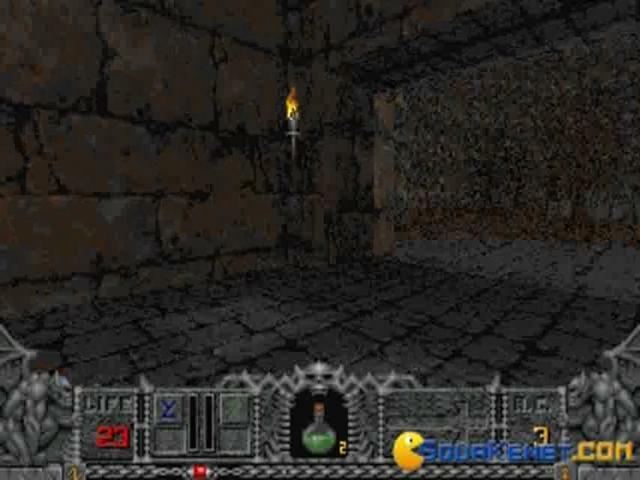 Basically, Hexen is Doom with staffs and fireballs, running on the same, updated graphics engine. Also, it's got a killer playlist, if you love a bit of Midi death metal, hehe! 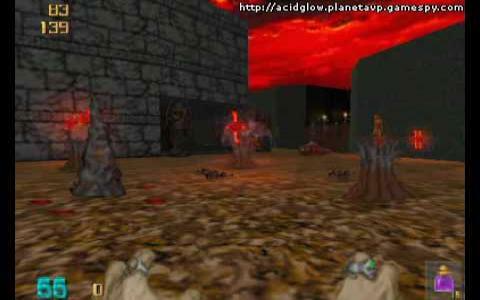 Surely worth a go for Doom aficionados or for oldschool first person shooters. 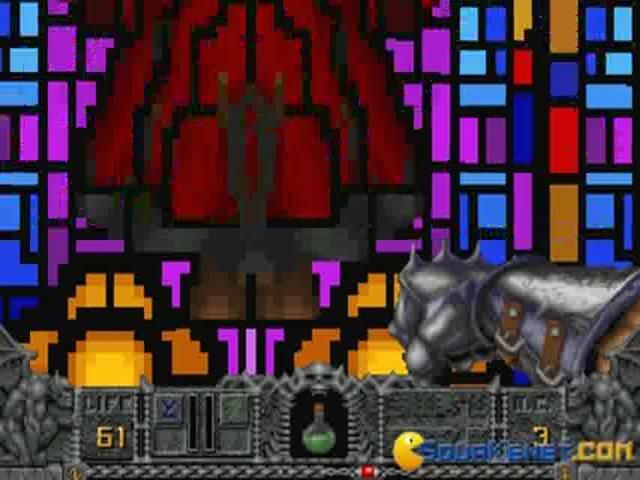 The offspring of the (in)famous Doom and the sequel of Heretic, Hexen is an even more bloody action game that is made in the same engine as it's spiritual predecessor. 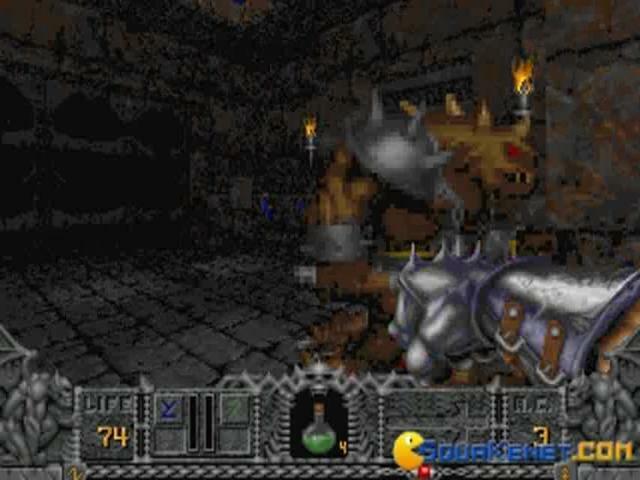 I have seen a lot, but I have never seen a game as bloody and violent as this one is. 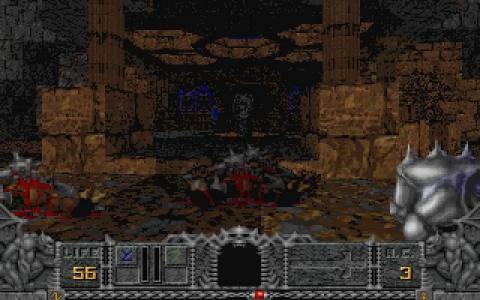 The continuation of the Heretic plot, this game is set in another realm called Cronos, and it is besieged by Krolax. 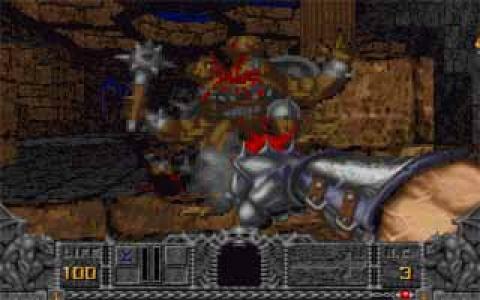 It is your task as one of three heroes to kill him in the most violent way possible. Because, in this game, there is no other way. 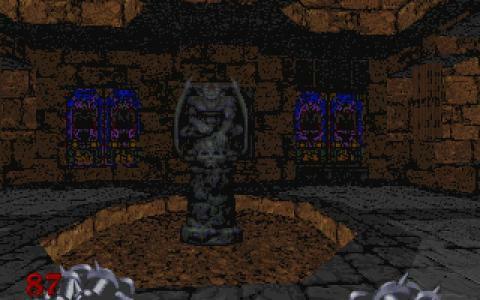 Where Doom was a sci fi game, Hexen is a dark fantasy game, so it may be more appealing for the fans of that genre. 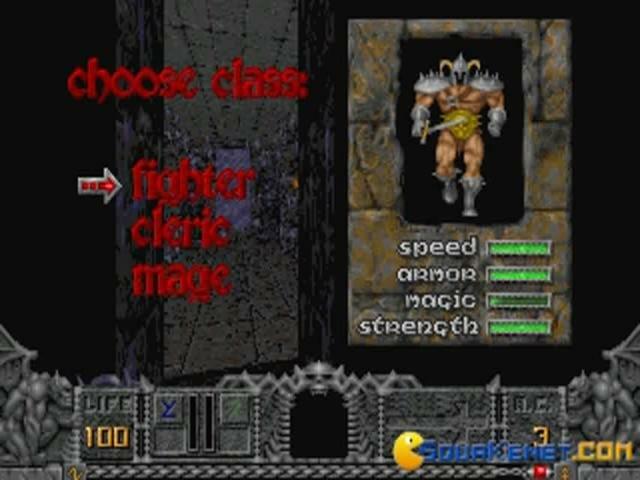 What is new is the introduction of character class - you can play as a fighter, cleric or mage, and your gameplay and weapons system depend on your choice. 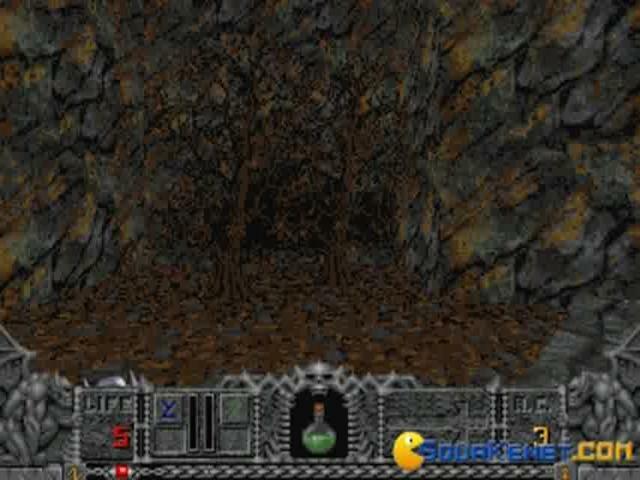 The rest is the same as in Doom and Heretic. 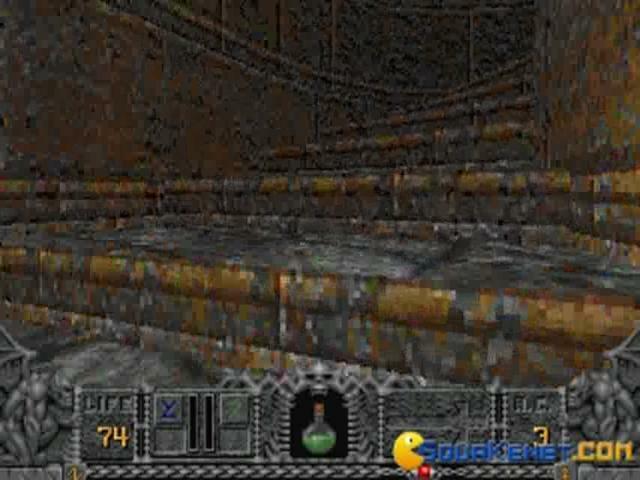 The graphics are equally good (or bad) as in the last two games, but the music is much better than they were. 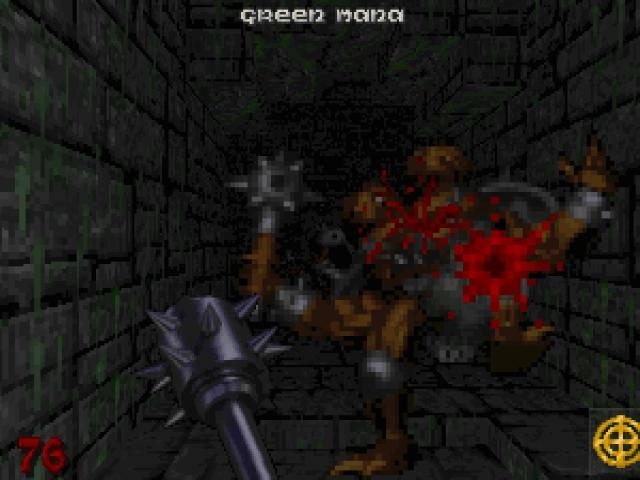 If you're for some blood and gore, you will get more than your fill in this game. I absolutely loved it.